I’ve just returned from a few days away with Terry Abraham doing more work on our next video, Backpacking in the Lake District. As on our first trip (see here) the weather was kind with light breezes, mild temperatures and occasional sunshine. There were clouds, especially on the last day, but these were mostly above the summits. After surprising a few early morning tourists with some filming in Keswick (when you walk up and down the same stretch of pavement several times people do notice, especially when someone is pointing a large video camera at you) we risked our heads being lashed by tree branches by sitting upstairs in an open-topped bus that took us down Borrowdale. 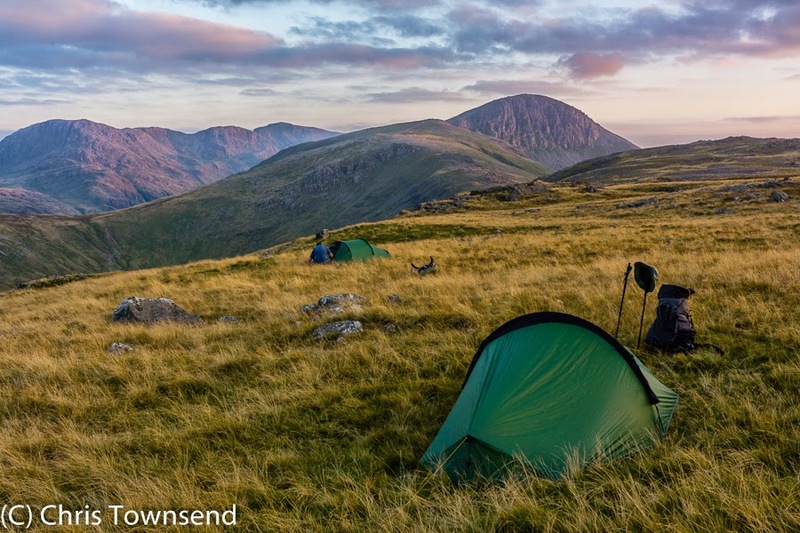 Having survived the bus journey we wandered up Grains Gill, past Sprinkling and Styhead Tarns, and onto the Climbers Traverse across the south face of Great Gable. 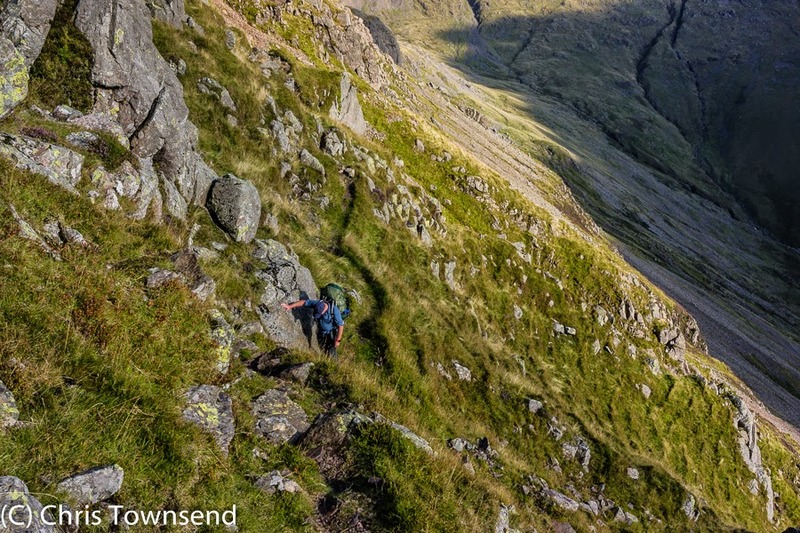 I’d not been on this narrow dramatic and often sketchy route for many, many years and I’d forgotten how impressive it is as it winds across steep rocky slopes below the huge shattered cliffs of the mountain with stupendous views across Lingmell Beck to the Scafell range and down to neat green fields of Wasdale. Easier terrain led below the north face of Great Gable to the long undulating grassier hills that stretch out towards Honister Pass. Here we met Phillip, who’d come out for one night on the last filming trip, and camped with him close to the summit of Grey Knotts. The evening light was beautiful and there was a fine sunset, making this a lovely camp. 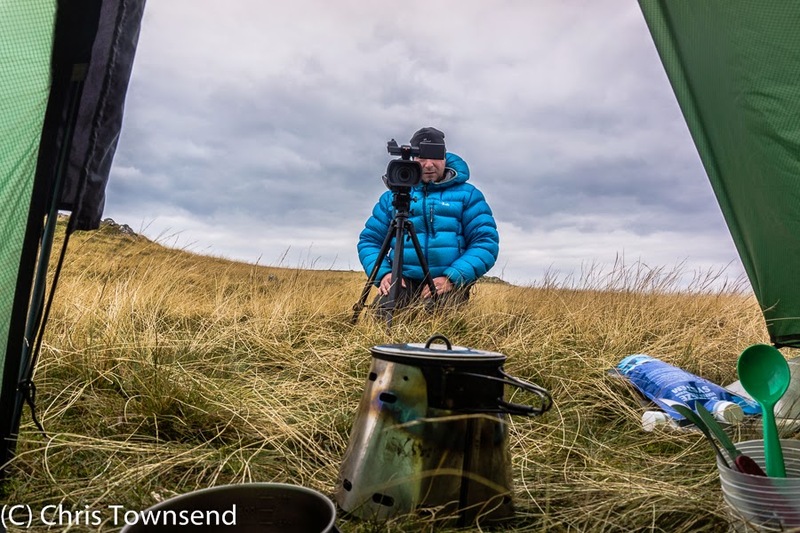 The next morning was rather duller with high clouds but still okay for filming the camp and for me to do some talking about backpacking, wild camping, wild places and more. 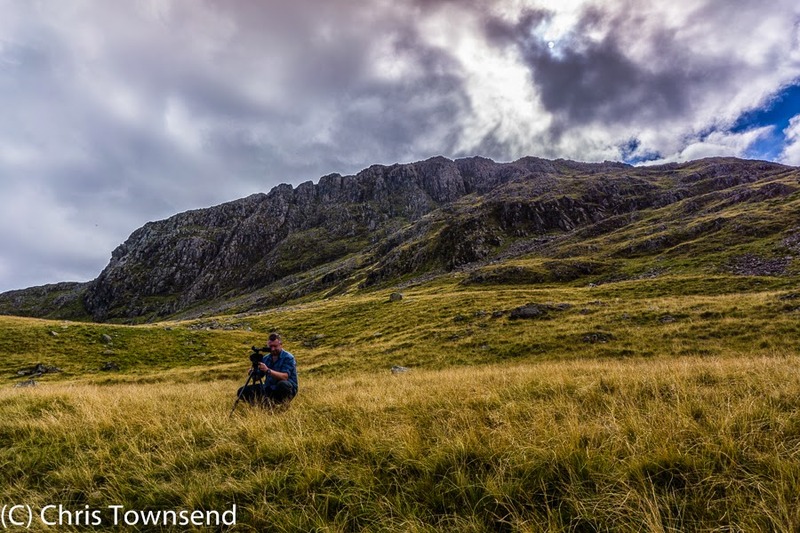 A shorter day’s walk followed with many stops for filming (progress is never quick when filming anyway), the main effort being the steep descent and ascent in and out of Honister Pass to the long ridge that runs over several summits on the west side of Borrowdale. We camped close to another summit, High Spy, and again filmed the camp and did recorded me chatting. A final day saw a descent down to Borrowdale and back to Keswick. Terry did much filming and much recording. I walked, stood and spoke as directed, often repeating stretches of path so Terry could film from different angles. Terry’s huge pack with all his video gear was much heavier than mine but at the end of one day he remarked that we’d probably expended the same amount of energy because of the extra distance I’d walked. I look forward to watching this in the future. It seems too that you are rediscovering the Lakes yourself! Really looking forward to seeing this film. Will it be shown at the KMF? I bumped into Terry at last years KMF and he seemed so keen and passionate about his work. The Cairngorm's In Winter was fabulous, and I reckon we can expect even more impressive results from this time round. Would it be possible to download the film onto my tablet Chris? as I am travelling, and a DVD isn't really a viable option. Jay, thanks for your comments. I don't think the Lakes film will be at KMFF this year. There won't be time. It will be available as a download. That's great that I can download the film. Thanks for that. 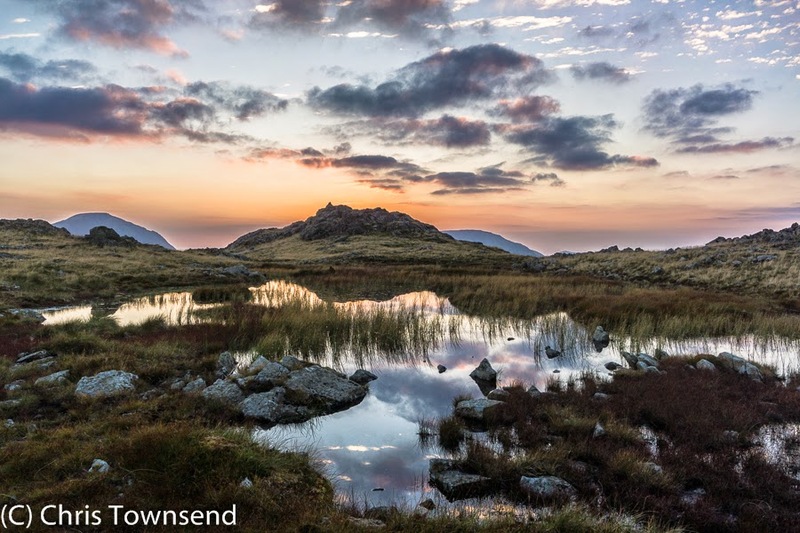 Even though I love other places to experience wildness, the English Lake District fells will always be home to me. And I'm really interested about your comments in the film on a region close to my heart.